Heres one from the recent past…2013…I love these Jada Mercs!! 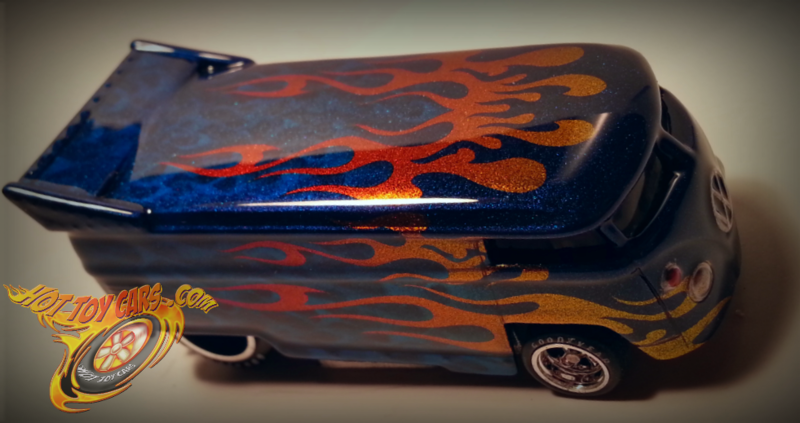 This “one of one” got a little old school in the form of Scallops on the hood. 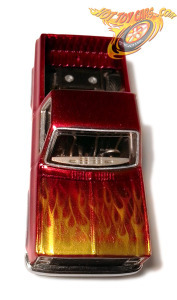 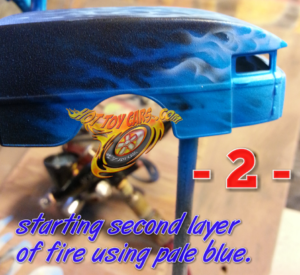 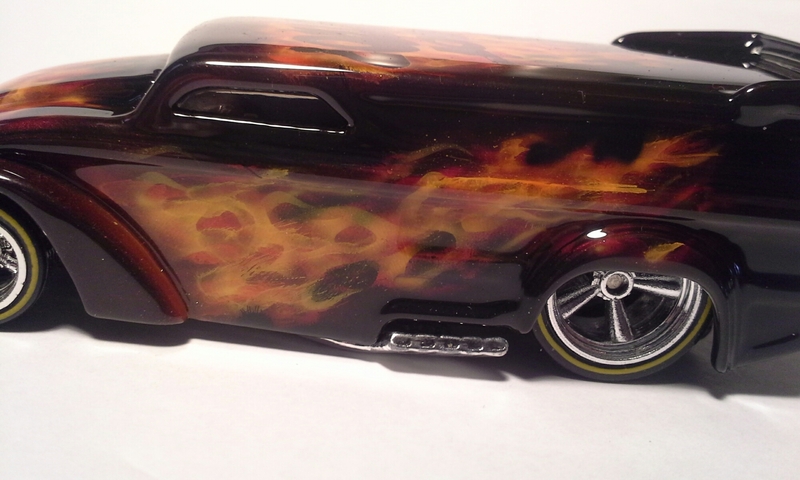 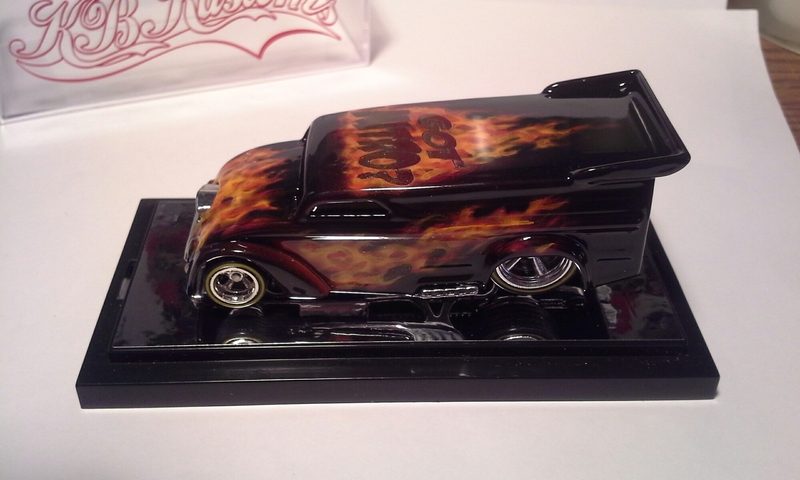 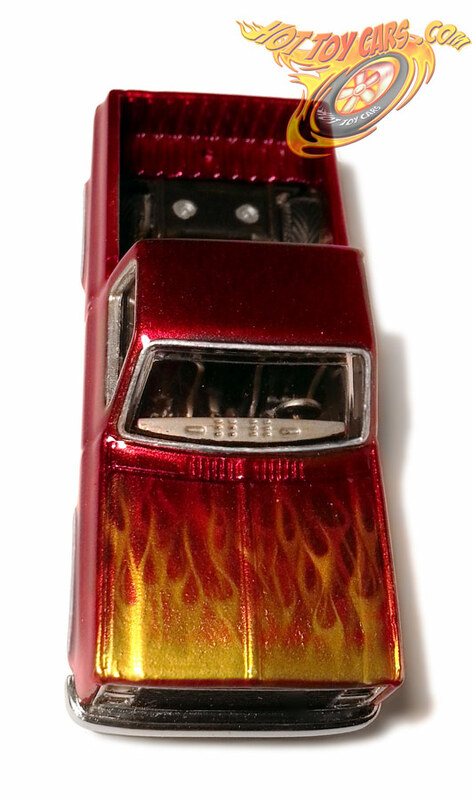 AND…really nice looking True / Real Fire down the sides. 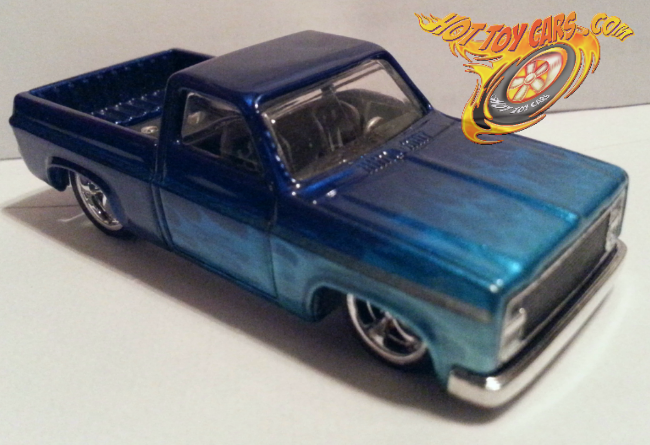 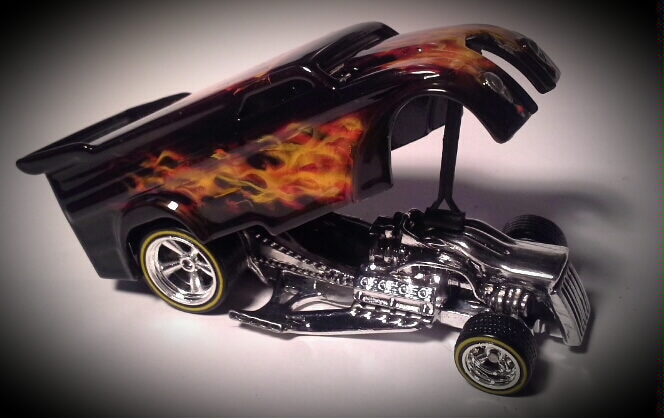 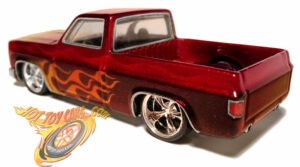 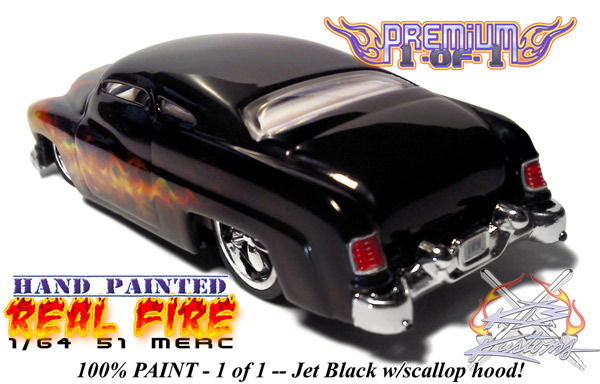 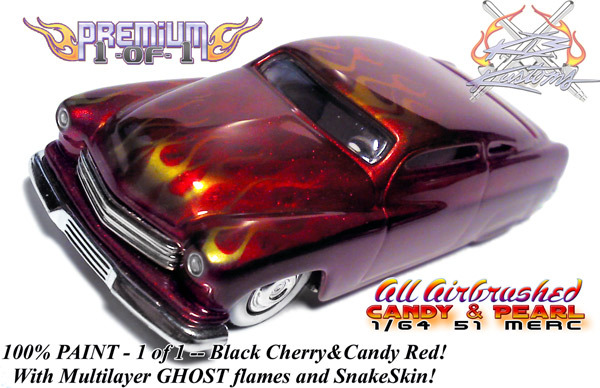 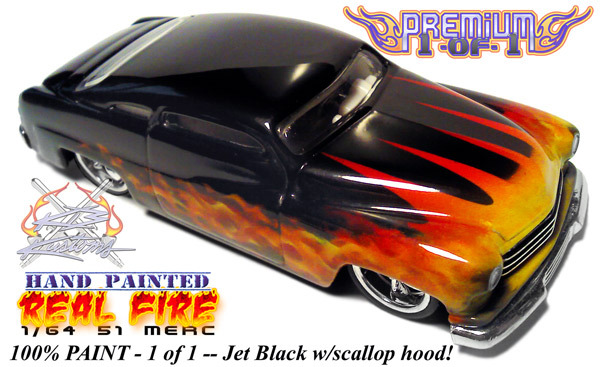 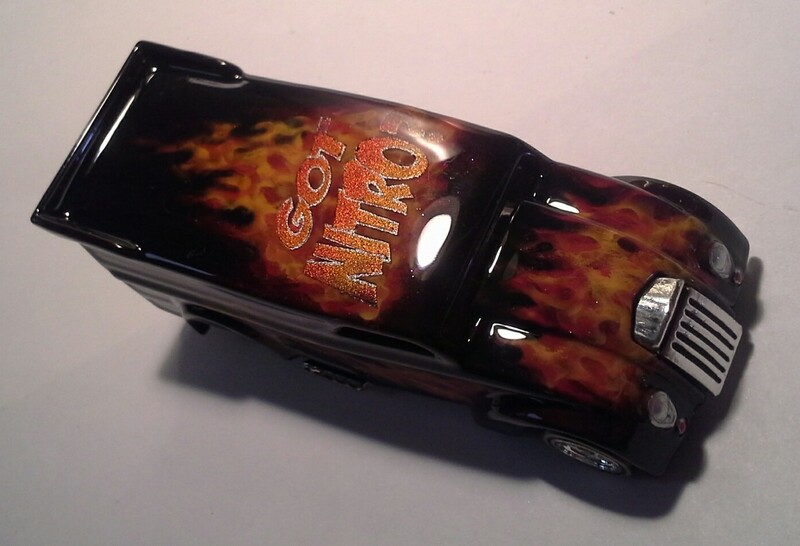 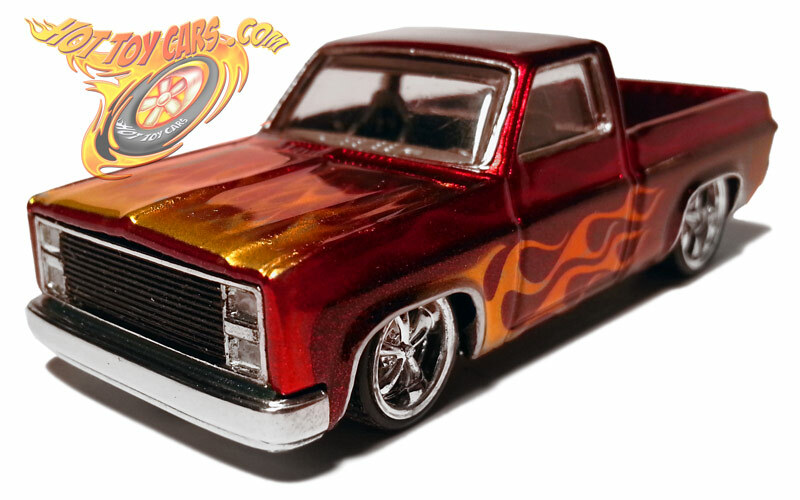 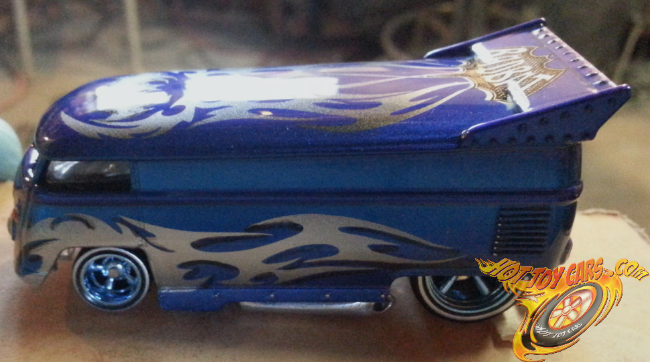 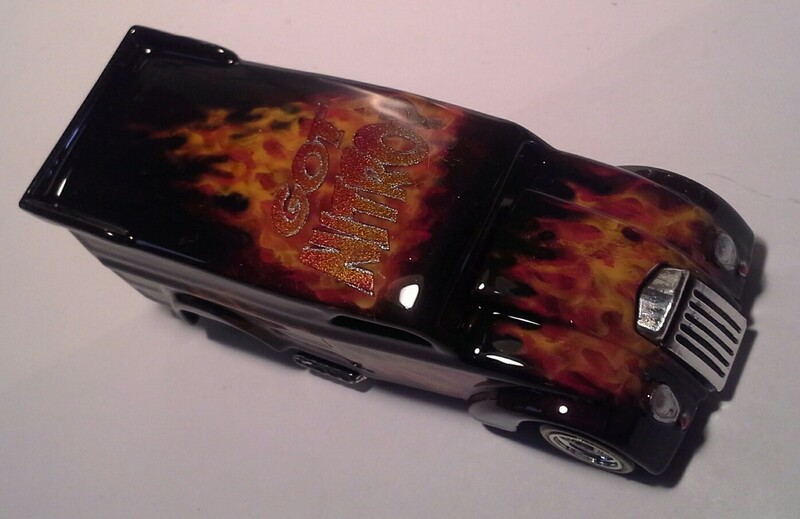 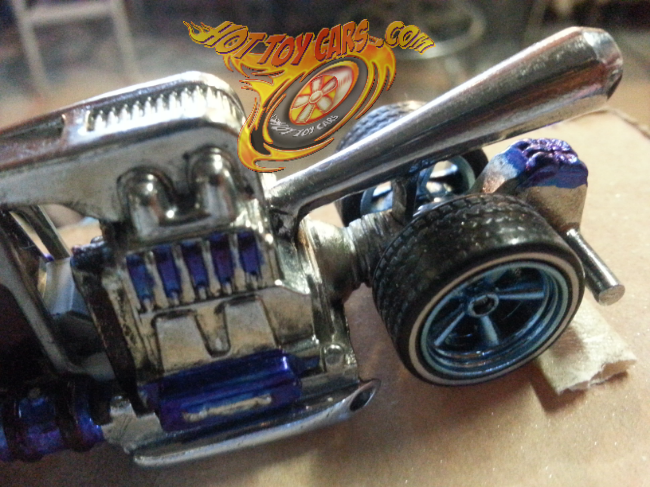 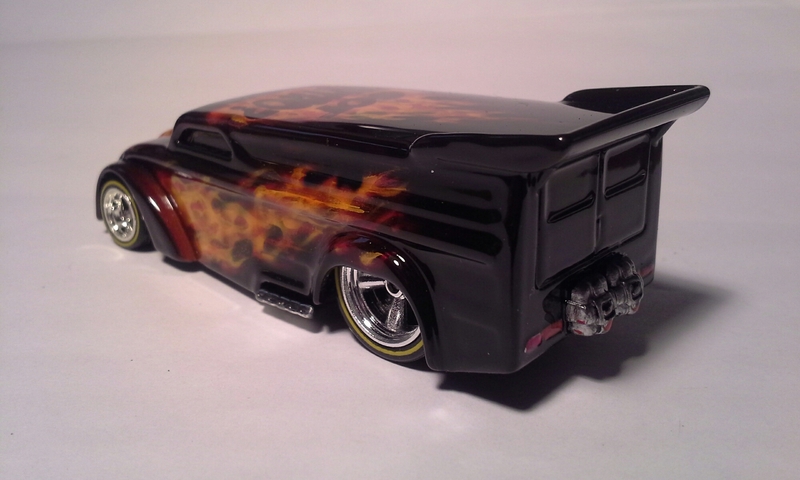 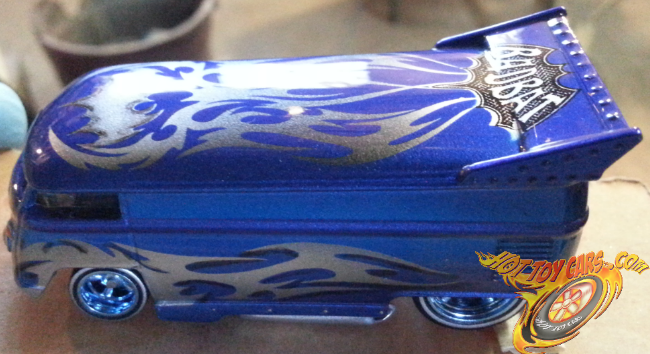 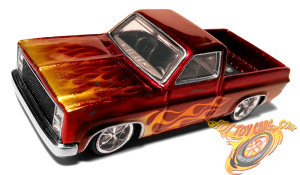 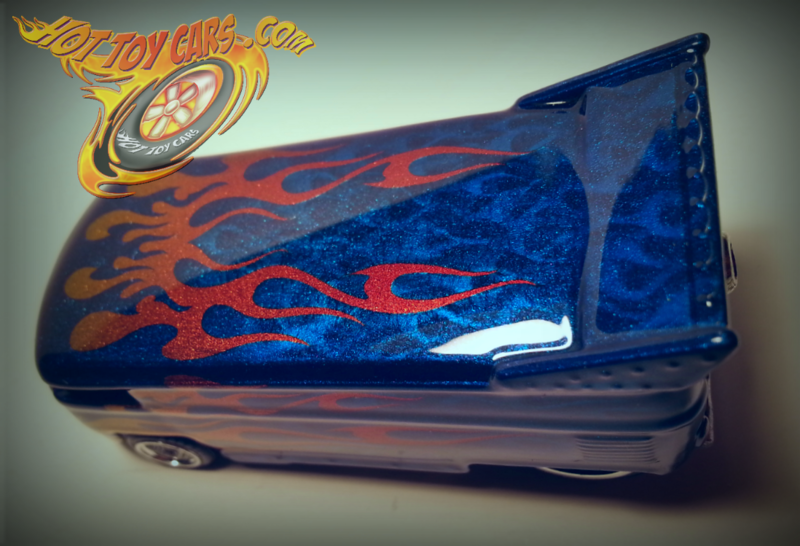 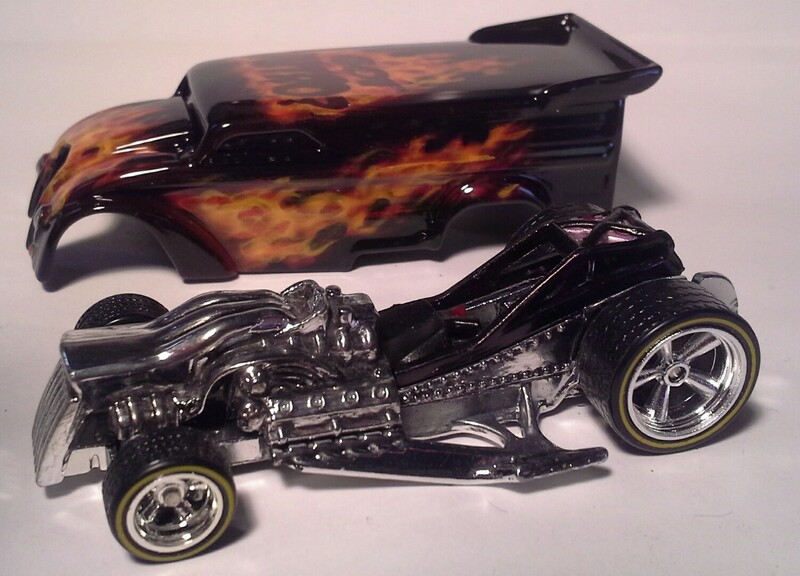 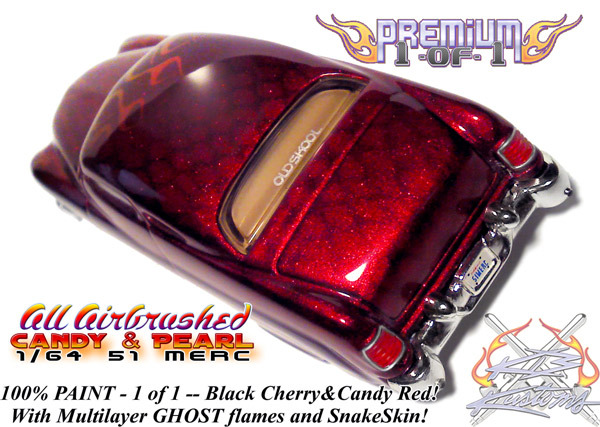 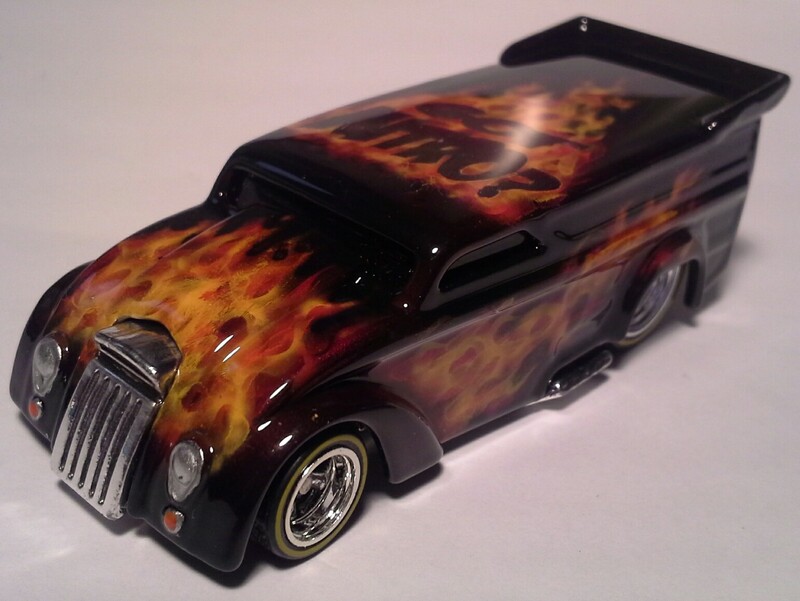 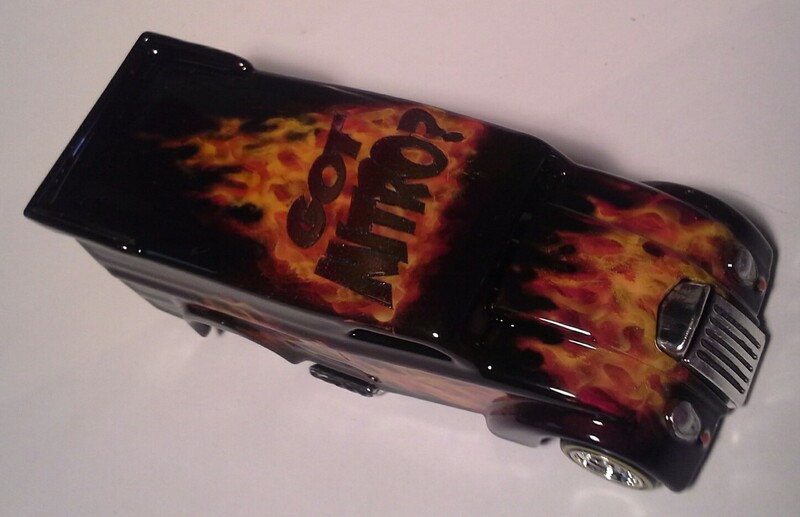 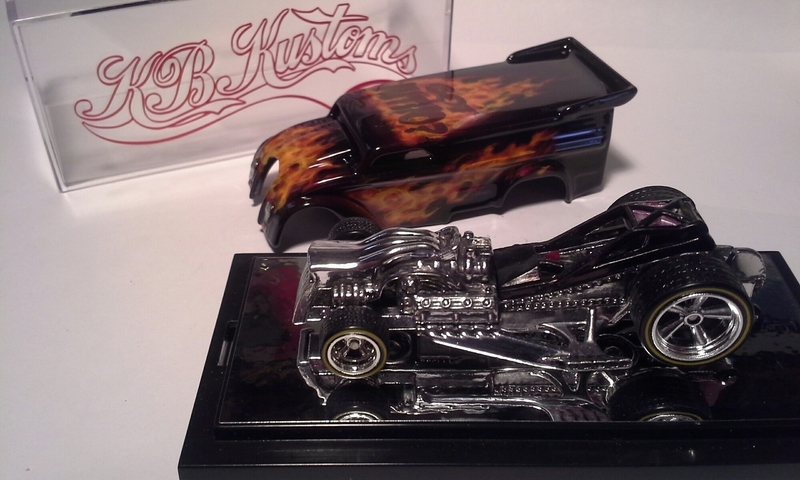 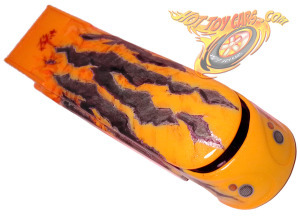 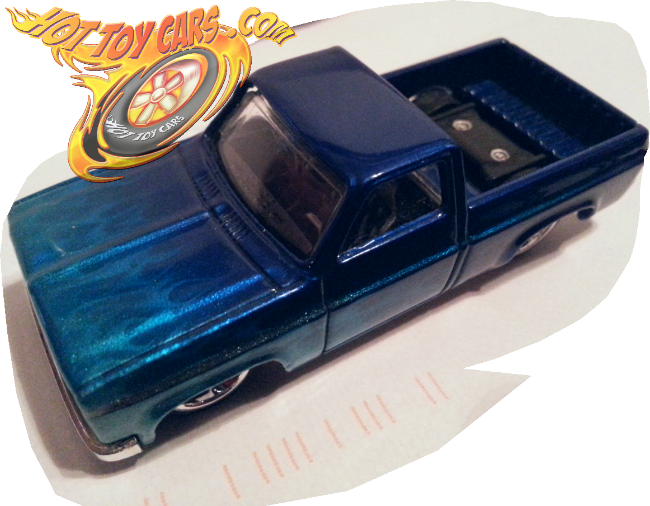 The two elements blend seamlessly, even on the small 1-64th scale ride! 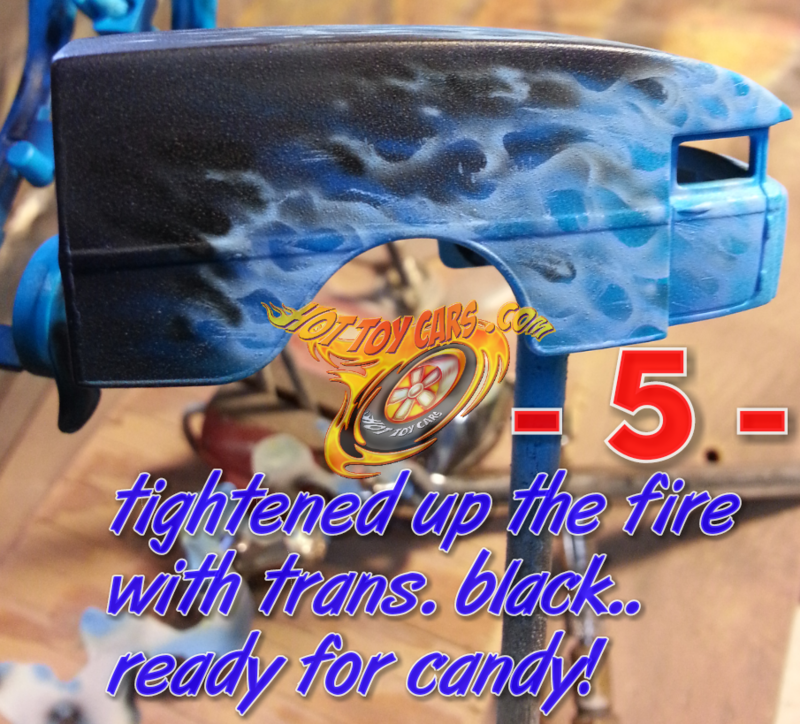 All hand painted, including details to lights. 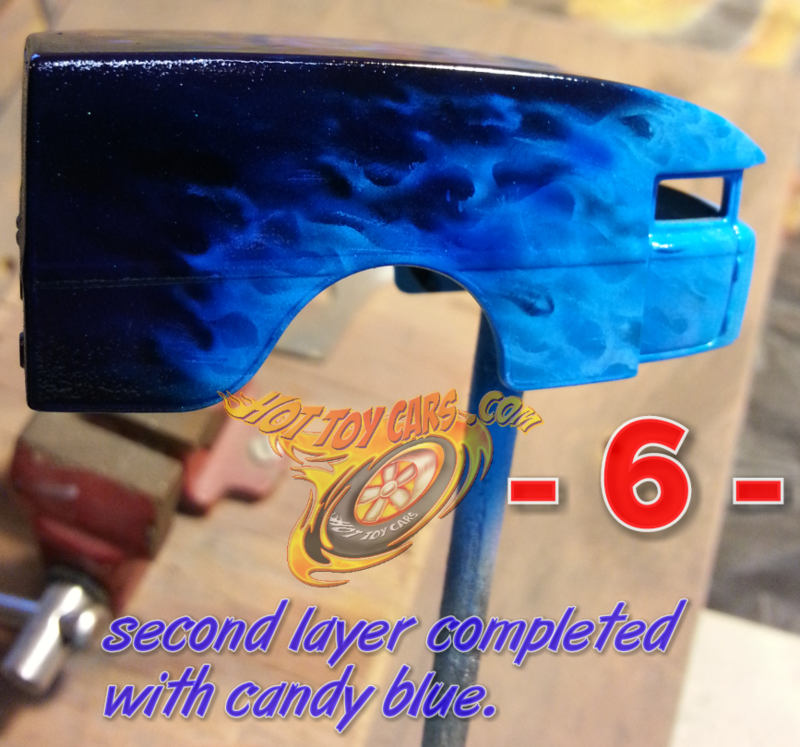 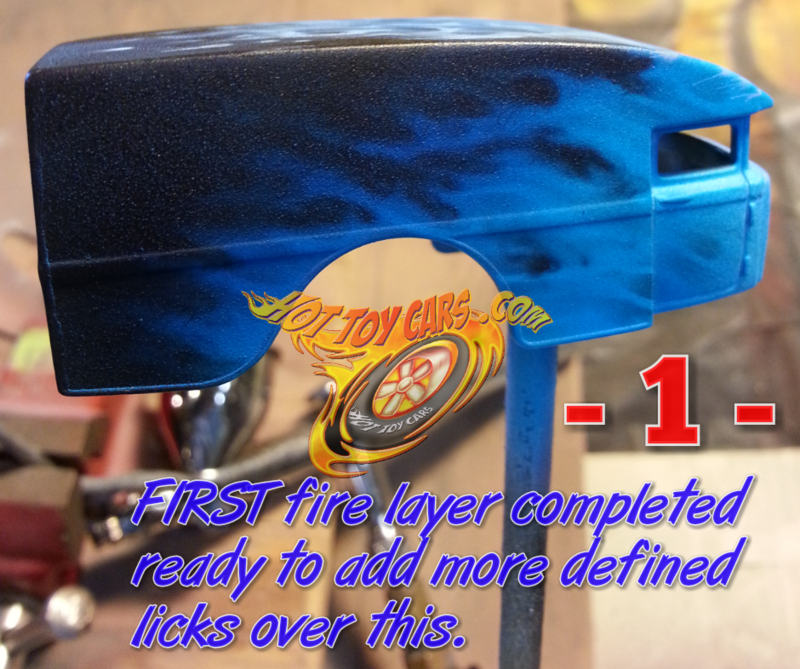 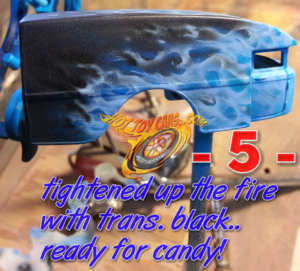 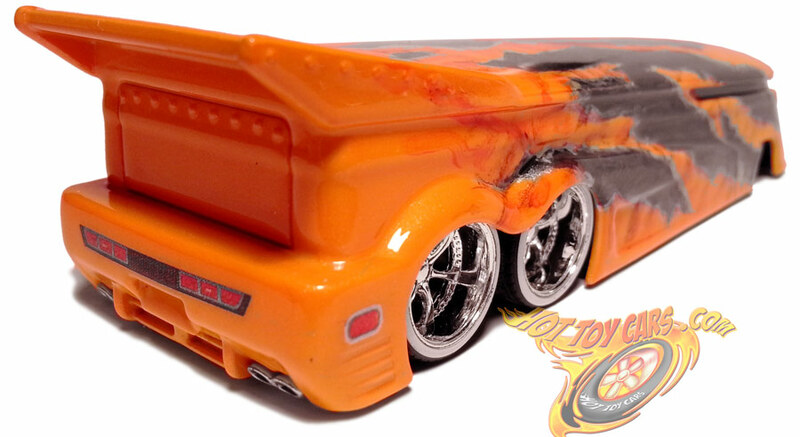 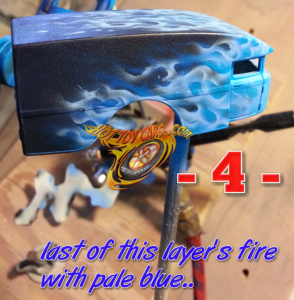 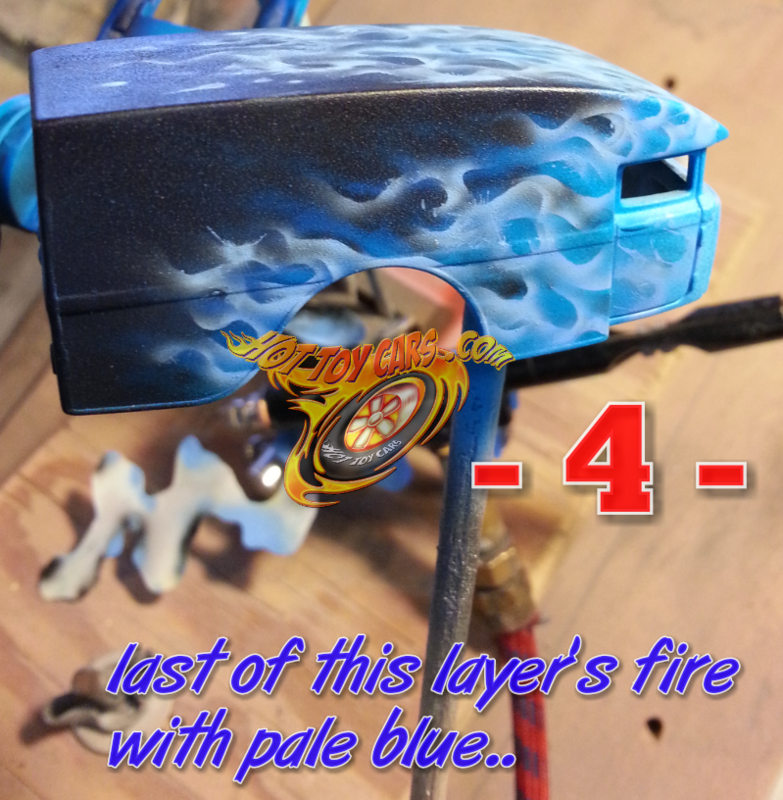 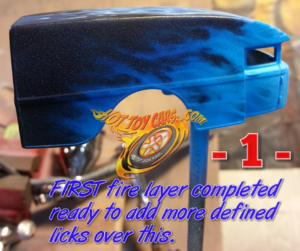 Fire took 6 layers of base/candy colors applications to make it look right..very deep looking! 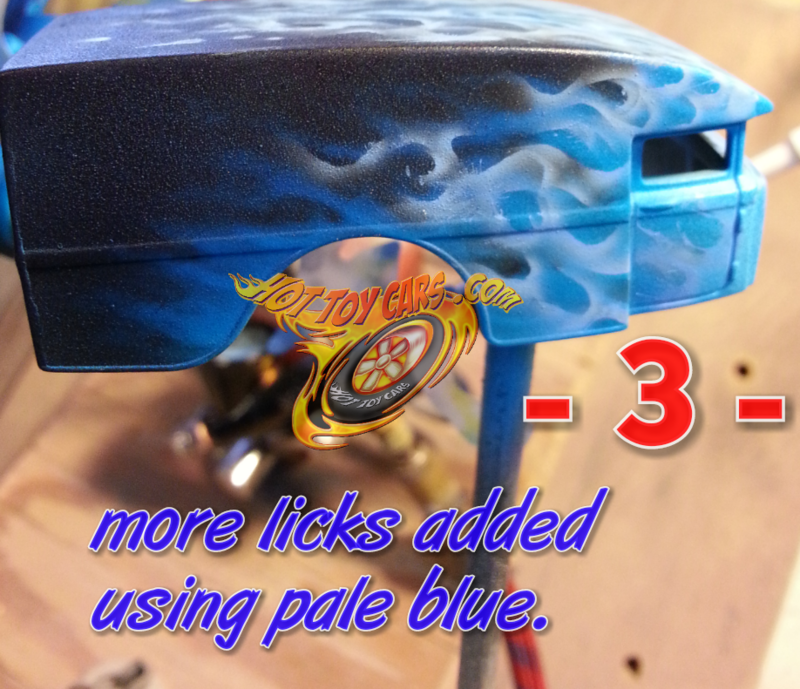 Hand polished Urethane automotive clear makes the gloss on this one ultra smooth!